It might not be over yet for notorious mobster and convicted killer James “Whitey” Bulger and his former associates. Prosecutors in Massachusetts are exploring whether they can charge Bulger and others with murder and other crimes now that the federal trial is over, the Boston Globe Press reports. One associate that faces potential criminal charges is Patrik Nee, who was named as an accomplice in several murders but never charged. 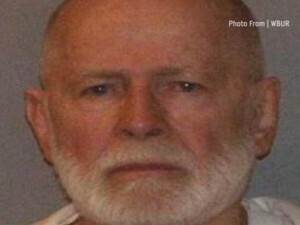 Bulger was convicted Monday on murder and racketeering counts in federal court. “We’re always looking for evidence that can help us investigate and prosecute Suffolk County homicides,” Jake Wark, a spokesman for Suffolk District Attorney Daniel F. Conley, told the Globe in a statement. Posted: 8/14/13 at 9:16 AM under News Story.